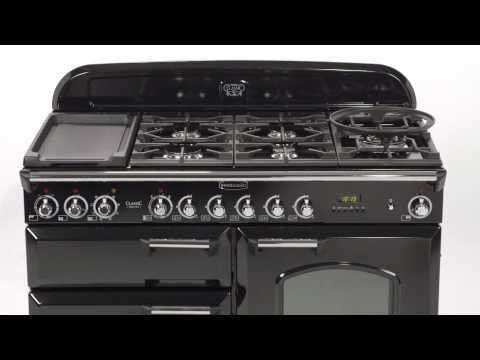 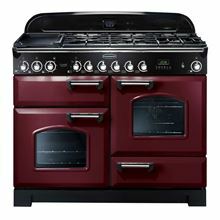 Rangemaster: Classic Deluxe 110 Dual Fuel Cream Range Cooker. 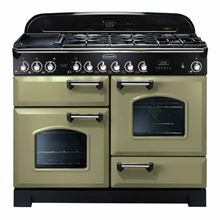 "Imbued with ultra-chic styling that makes this Classic Deluxe Collection a firm favourite among those with more classical tastes, this range can cater for three different size preferences, being at home in any kitchen. Rangemaster provide a full two-year warranty upon registration, covering all parts and labour"